Our society has an obsession with speed – cars, food service and internet connections – to name a few. Whether we are a recreational runner, mountain bike aficionado or professional baseball player, many of us have a similar qualification for improvement: How can I get faster? At Elevate, we work with a variety of athletes and individuals who pursue this every day. It’s often the common thread that separates elite athletes from hobbyists. 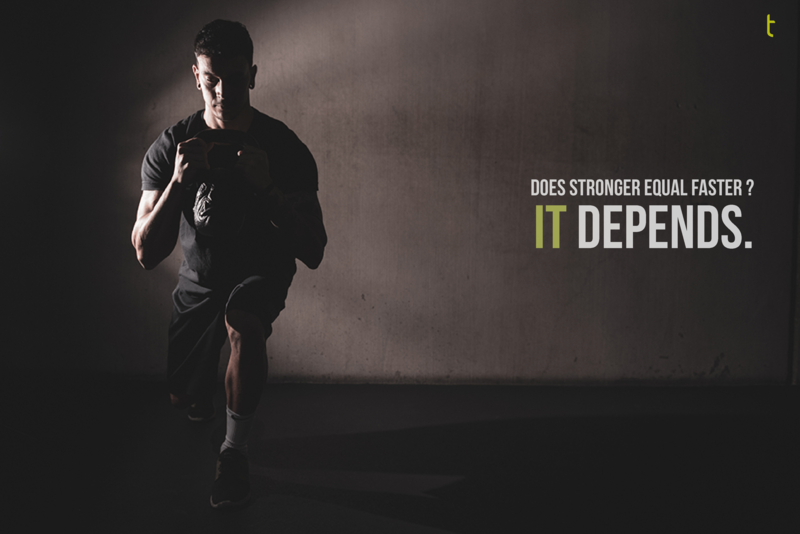 We know strength is an integral quality to speed…but how is it related? To better understand the concept of speed it’s also important to understand how force relates to speed and why it’s vital for our ability to produce and maintain speed. Let’s start with a quick physics recap. Newton’s First Law stipulates that objects persist in rest until a force acts upon it. That force equals mass times acceleration. Force then causes a change in velocity (distance divided by time) and velocity then causes a change in force. The relationship between the two helps explain why strength training has the potential to change velocity. High forces have great opportunities to change velocity, where low forces yield less velocity. The rate at which we develop force determines how fast we can move a given load and thus how our bodies might adapt physiologically to a stimulus/exercise. 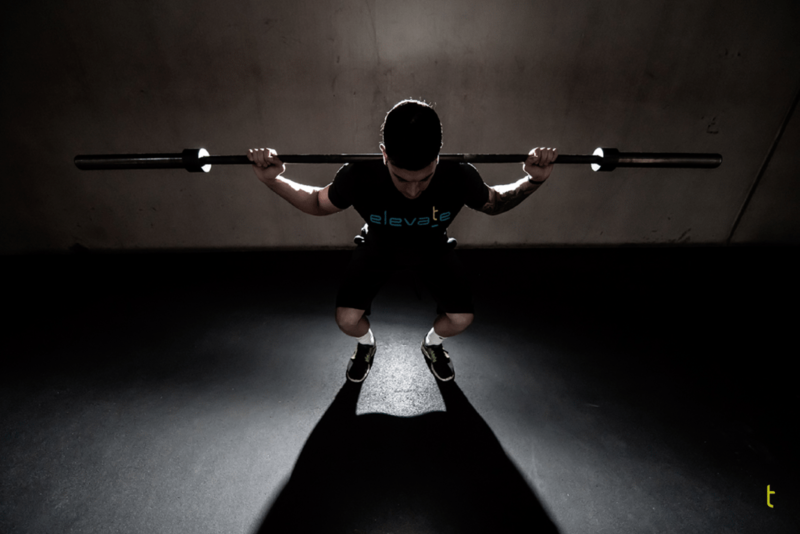 During an typical day at Elevate our clientele will lift a variety of weights in a variety of different increments and speeds. The weight amounts are carefully selected by coaches based on individual needs. Heavy weights have opportunities to develop force but yield less velocity and light weights that are moved quickly have opportunities to develop great velocity without as much force needed. The tie that binds these concepts together is intent. Without great intent the outcome of training “heavy” or “explosively” can’t be realized. Investing ourselves completely into our training session and outcome is often what determines success that translates to the course, field or court. Let’s tie it all together. If we train “heavy” all the time we can’t expect to become appreciably faster. If we train “explosively” all the time we can’t expect to become appreciably stronger. The sequential development of these qualities and balance in our training program not only allows us to develop a more robust, healthy body, it also allows us to develop different velocity qualities to benefit activities and sport. If velocity is your goal, consult with your coach to determine how Elevate can get you up to speed. Elevate – Performance | Health | Wellness. We’re a fitness facility based in Albuquerque, New Mexico specializing in science-backed training, community building and a love of movement – more @ elevatephw.com.